Please contact us for your free, personalized consultation. Contact Chef Angelo to discuss your custom menu. 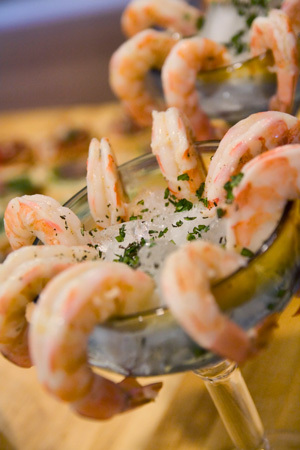 Scampi Martini: Fresh gulf pink shrimp steamed in key lime juice, vodka, fresh garlic and tossed with herbs then served over vodka and key lime infused shaved ice. A perfect start to a Fresh from Florida dinner experience. 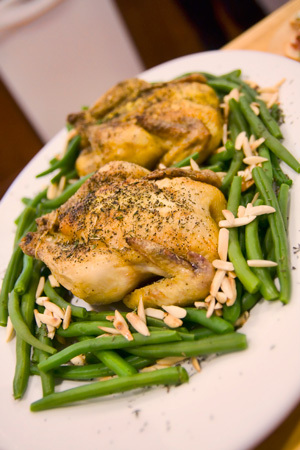 Herb Roasted Game Hens: Organic Cornish Game Hens slathered with olive oil and seasonings then slow roasted to perfection, dressed with herbs and served on a bed of seasoned buttered organic beans and toasted almonds. Perfect for that light dinner so you can get back to the pool and the business of enjoying your vacation. 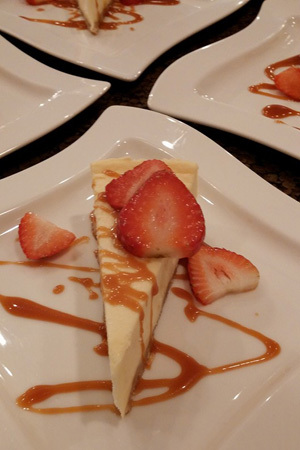 Salted Caramel New York Cheesecake: Creamy vanilla bean infused New York style cheesecake served with hand crafted salted caramel and macerated berries. A perfect ending to a perfect day touring the best of what Central Florida has to offer. Caprese Salad: Fresh from Florida organic tomatoes, fresh mozzarella, garden grown basil served with Spanish olive oil and a balsamic reduction. A Florida twist to a classic dish. Citrus Grouper: Seasonal Red Grouper marinated in a citrus infused olive oil and herbs and served with Arroz con Gondules and bistro style fresh garden vegetables. Florida has some of the best seafood in the world, this is just one example of the incredible selection available to our guests. Avocado Salad: Fresh from Florida avocados, cherry tomatoes, salad greens and cucumber dressed in a key lime vinaigrette and fresh cilantro. Another example of the incredible variety of produce available to Florida chefs. Want to keep abreast of the latest happenings of Chef Angelo? Then sign up today!